In Revelation 1:17 we read that: He laid His right hand on me, saying, “Fear not” while in Psalm 37:1; 7,8 we read the words: Fret not! And Paul in 2 Corinthians 7:4 reminds us to be: exceeding joyful in all the trials of life. We live in a dark and sinful world. Our feet trample its sin-soaked streets. Burdens of conscience can sometimes weigh us down.Worries of an uncertain future can also impair our present joys:- Cares in business.. Insecurities in life.. Trouble in the home.. Responsibilities in a ministry.. Anxieties about our spiritual walk.. Frustrations from the world.. Misunderstandings between loved ones.. Fear of losing a beloved help-meet or a precious partner.. Other undesirable things – things we don’t even want to share.. all combine to cause the believer to be burdened, fearful, worried and worn. Satan uses past disappointments and former fears, to impact on the choices of today. The devil will engineer future worries and concerns about tomorrow.. to influence our present decisions.. and yet we know that the believer should be filled with joy. We know we should rejoice in our sufferings.. knowing that difficult circumstances produce endurance. But we also know that Paul was afflicted in this and every way.. but he was not crushed. And Paul exhorts us not to fear about the unknown, but to be content in all things.. as sorrowful and yet always rejoicing – as poor, yet making many rich – as having nothing, yet possessing everything. 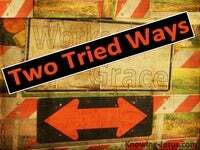 We know that Jesus Himself walked this same way that we are treading, and was in every respect was tried, tested and tempted as we are – yet without sin. And He exhorts us not to be worried or concerned :- ‘Fear not – Fret not – Don’t worry – Let not your heart be troubled. Christ Who pleaded for His own cup to be removed in the Garden of Gethsemane.. 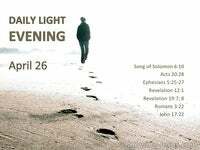 He Who was the founder and perfecter of our faith, walked the same path of fear and doubt – Who for the joy before Him endured the cross, despising the shame. We know that all things in life are changed for the one born of God. We know His mercies are new every morning for the one that believes – for as we share abundantly in Christ’s sufferings, so through Christ we share abundantly in His comforts too. And yet despite this we can be burdened with sin and the fear of judgment.. as was Christian in his “Pilgrims Progress” to the Celestial City.. Until his burden was strangely loosed at the cross, and tumbled deep into the gaping sepulcher.. yet He still had to meet more problems along his advancing route. At other times we can be overburdened by worry and anxieties.. fearful of a situation that may happen in the future – dread that a past pain may be repeated.So how can we be ‘exceeding joyful in all our tribulation’ today.. as this text in 2 Corinthians exhorts us to be? 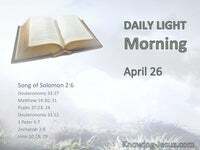 How can the insecurities and difficulties of life be lifted and lightened today – when burdens; worries; cares; responsibilities; insecurities; troubles and anxieties… misunderstandings; frustrations; and other undesirable things strew our path? 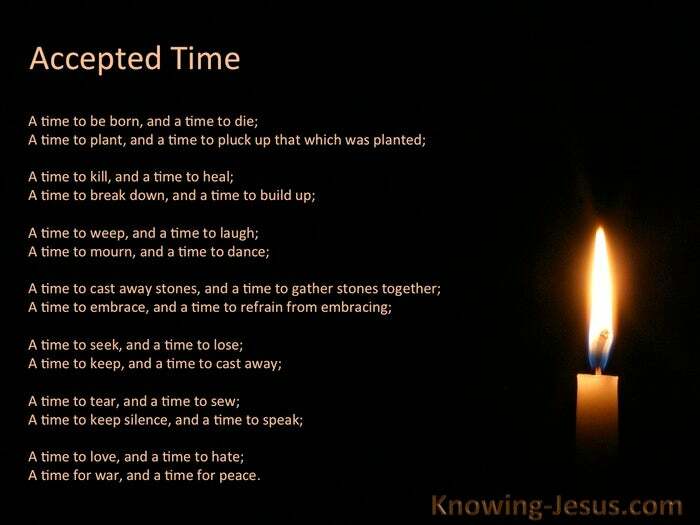 And he tells us that today is the time in which we live. Today is the day we move and have our being. 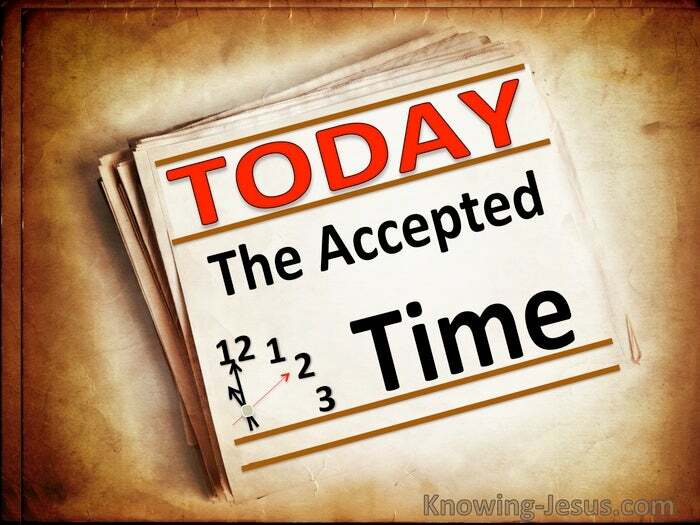 Today is the accepted time. 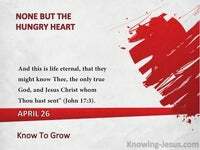 Today is the day of salvation – and He said, Today, if you will hear His voice, do not harden your hearts. Never allow fears from the past or worries for the future.. to remove your joy for today. Jesus said, these things I have spoken to you, that my joy may be in you, and that your joy may be full – (today) For the joy of the Lord is your strength – for today.